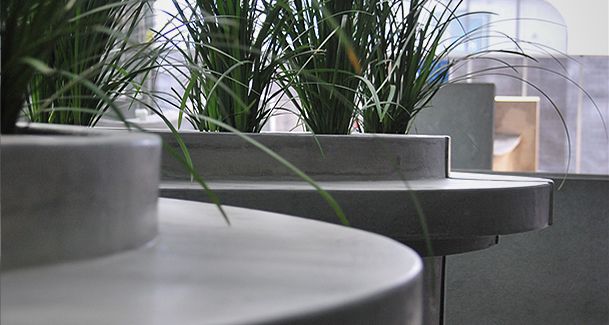 Dasch Associates approached H2O Designs for an alternative production method to concrete forming for their seating/planter box design for this commercial rooftop. The design had to remain similar to Dasch’s initial floor plan, be built from a lightweight material in a modular format in sizes that would fit within the lift. 3D hand sketches were used to show the client how the design would look once all the LICOM76™ modular components had been installed and assembled on site. Sketching gives our designers the ability to visualize their concepts from all perspectives and is a great method to show clients how initial concepts have been developed. Each of the modular components used in the Q2 Deck project were manufactured offsite in our Melbourne factory where they undergo a strict LICOM76™ manufacturing process. Assembled and formed by hand they do not require moulds which gives great freedom in creating one off unique shapes like these curved components. LICOM76™ components are developed with ease of installation in mind. The 6 modular components that make up the seating / planter box design were all dimensioned to fit within the buildings lift, eliminating the need for a crane. The lightweight nature of the components allowed for a hand delivery and simple assembly on site. The components for the Q2 Deck project are a great example of how LICOM76™ can provide designers with an alternative solution to traditional concreting techniques. The prefabricated lightweight LICOM76™ components were designed and manufactured in our Melbourne factory. 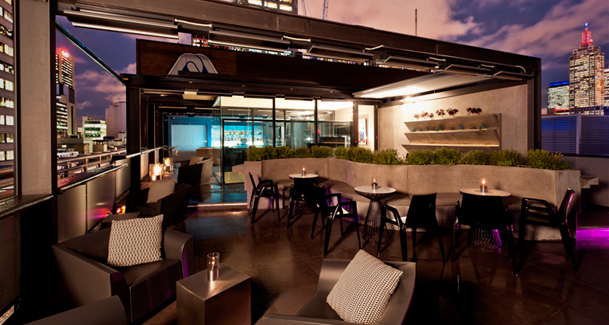 Finished in a polished concrete, each piece was designed in modular format and sized to suit the rooftops lift access. The seating, VWalls and bench tops were delivered and installed with minimal mess and time spent on site.